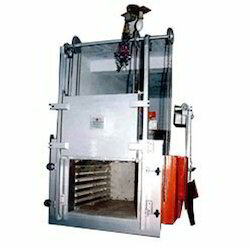 We offer a wide range of Ovens and Dryers which are ideal for ferrous and non-ferrous wires and strips. These products are specially designed in vacuums and generally used for tempering lines and strip hardening. Our ovens and dryers having some features like high efficiency and controlled accuracy. We offer a well-quality product to our clients at reasonable cost. Our ovens and dryers are long-lasting products. Looking for Electric Oven and Aging Oven ?